It’s a journey that Perth’s Edith Cowan University has been on for the past three years as it rolls out a digital strategy to serve the needs of 23,000 students and teaching staff across its campuses. This strategy is underpinned by moving all of its data centre infrastructure to the cloud, a total redesign of its network to deal with increases in traffic, particularly video; as well as rolling out cloud content management, and virtual desktop environments. 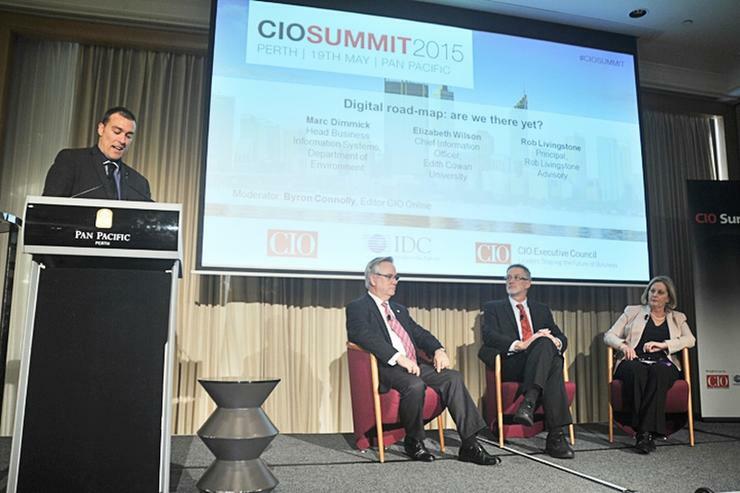 “Our learning management system is mobile, more students sit in cafes and consume lectures now than they do in lecture theatres,” Edith Cowan’s CIO, Elizabeth Wilson, told attendees at this month’s CIO Summit. “If you are delivering learning to a student online, it’s not the same as a lecture theatre [where lecturers] are talking to a couple of hundred students. “It’s not so much about content, it’s about the context of that learning material. How do you engage with students without losing that very thing that students go to university for? They [students] go for that social interaction,” said Wilson. Wilson was one of three panelists discussing how to roll out digital strategies and provide grassroots tools that improve interactions with internal staff, customers, and citizens. She said the redesign of the university’s network was the “most beneficial thing” it has done to support its digital strategy. “People tend to forget that digital means there’s a lot more traffic going across the network. Particularly in education with video – the amount of video going over our network now is huge,” said Wilson. Panelist Marc Dimmick, who is senior manager, business systems at WA’s Department of Environment Regulation, is doing digital transformation in the cloud, consolidating and re-purposing legacy systems into a single platform. Dimmick joined the department after what he described as a system failure, which saw its data centre offline for a period of time. He spent four months talking to the business which was siloed due to several “amalgamations, marriages, divorces and de-mergers”. “They weren’t very happy so anything I could do was better than what they had. Everyone was in bunkers just trying to get the job done,” he said. Agency staff manage client and geospatial data relating to works approvals and licensing, compliance, and other environmental initiatives across the state. “We are currently building requirements to build a single platform, creating heat maps to show the business – in their language – where information is concentrated and cross-relationships,” said Dimmick. “Everybody needs to see information but we have so much of it, there’s no one way of looking at it,” he said. “Big data has been the buzzword for a while but I think analytics and visualisation is going to be the bigger part of that whole thing. “Big data is a big problem – we see a lot of this data and say, ‘Where do we start?’ The best and easiest way to look at data is visually. If you get a spreadsheet that has a million lines, it will take you forever to look through it. “But if you draw, a picture with three green lights and one red, I can easily click on the lights and find the information. I can drill down and do something about it, make a decision,” he said. Another part of the agency’s strategy is digitising forms. For instance, its complaints and issues department creates many paper forms each year. One staff member will fill out a form and pass it to someone else to type in the data, which decreases the timeliness and quality of data. “We are looking at using digitalised pens so when they finish writing a form, a version of that form is transmitted straight to the system as it digitally looked and the data is being converted using OCR and put straight into the database. “So we’ve increase the quality of data, we’ve reduced the time between capturing and delivering that data, and reduced the time and effort so people aren’t handling the data two or three times,” he said. Creating a single platform where data can be visualised will speed up the delivery of services to citizens, he said. Creating a culture in an organisation where everyone is willing to be tested in some way is vital to ensuring that digital transformation initiatives succeed, said Rob Livingstone, principal of Rob Livingstone Advisory. Business unit managers who have got a certain budget or a model of how they sell widgets or stock the warehouse – their assumptions of what their business unit does and how they do it needs to be open to scrutiny,” Livingstone told attendees. Moving to digital platforms has forced a cultural change at Edith Cowan University and getting teaching staff to adopt new technology is a global problem, she said. “It’s talked about a lot, the gap in digital literacy and people coming into universities and some of the people who are teaching them. "What does it take to be a good teacher? It’s probably not being able to use technology. For example, an academic didn’t go to university and get a PhD in a certain subject to do digital production. “So do we look at taking that element away from the academics and having experts in digital production? It’s really about looking at your business model and questioning what’s the value chain and what are all the components that make up this digital business model? What parts are for your business that you should be doing and what parts should other people be doing,’” Wilson said.